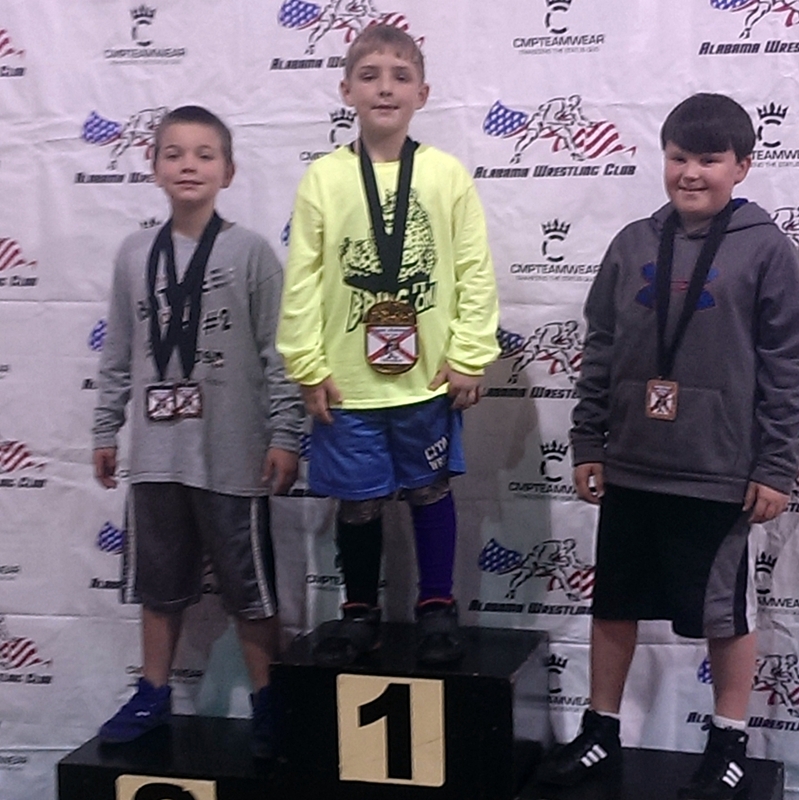 December 15th, 2014 | Written by: Editor | Contributor: Nick DiGerolamo, Sr. 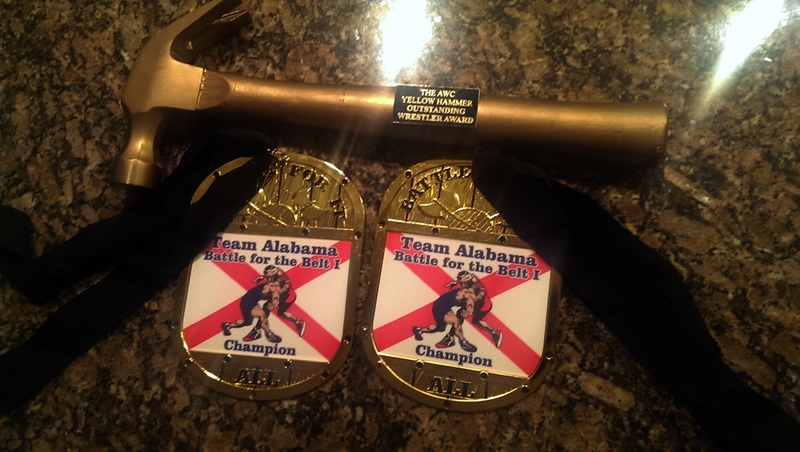 Eight-year old Nicholas DiGerolamo won twice in Team Alabama's Battle for the Belt I, held at Spain Park High School in Hoover, Alabama, on Saturday, December 6th. 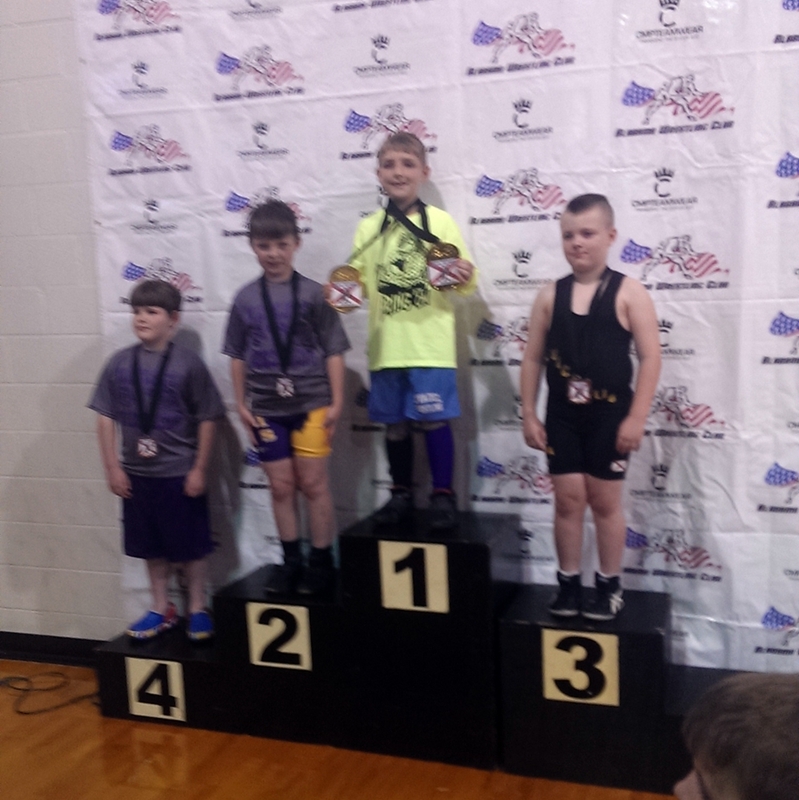 Weighing in at only 80 pounds, Nick was 3-0 in the 8-yr.-olds 85 pounds weight class, and 5-0 in the 8-yr.-olds 100 pounds weight class, winning two championship medals as well as the 8-yr.-olds Outstanding Wrestler Award. 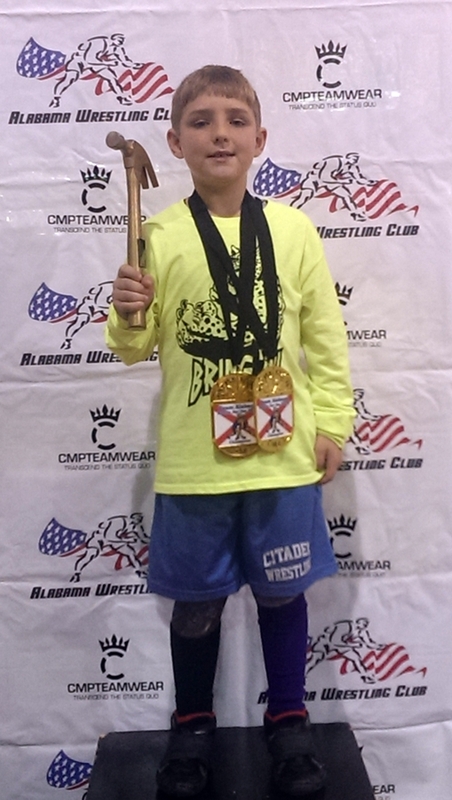 In November Nick won another championship at the Warrior Open, held at Thompson High School in Alabaster, Alabama. Nick is a second grade student at St. Francis Xavier School in Metairie.